Leveraging big data, a CTA-led project has significantly increased crop yields and incomes for thousands of Ugandan smallholder farmers. 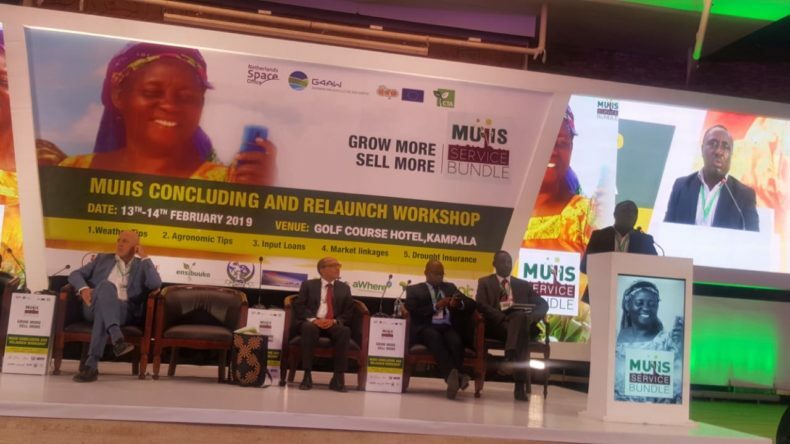 The project, Market-led User-owned ICT4Ag-enabled Information Services (MUIIS), offers a bundle of highly targeted digital services to farmers including weather and agronomic information, as well as financial services including index-based insurance and loans. A Rapid Crop Yield Assessment carried out by the Alliance for a Green Revolution in Africa (AGRA) in collaboration with the National Agricultural Research Organisation (NARO) of Uganda, reveals that those farmers who subscribed to the bundle have realised a sizable increase in maize productivity up to 67%. Participating farmers also saw an average increase from US$ 520 per hectare for non-beneficiaries to US$ 800 per hectare for beneficiaries. An increase of 70%. As part of the project over 250,000 farmers were digitally profiled to provide detailed information on everything from geographical location of their fields to crops grown, size of family and assets owned. The dataset obtained was leveraged to provide a kind of collateral to underpin a loan from the Rabobank Foundation. From these funds farmers can draw funds to support, for example, the purchase of seed and fertiliser. “We saw that removing the barrier to access to finance would make available a whole range of innovations which could improve productivity and profit. By digitally profiling farmers, we had already gathered the sort of information financial institutions need when assessing creditworthiness”, said Dr. Benjamin Kwasi Addom, CTA Team Leader for ICT4Ag. To date, over 3,200 smallholder farmers have subscribed to the MUIIS service bundle. And, 628 farmer subscribers have recently been subject to the scheme’s largest insurance payout. Over 27 million Ugandan shillings (€6,400) is being paid out in compensation for drought destroyed crops. A second phase of the project, transitioning it into a business, will be launched at a workshop at the Golf Course Hotel in Kampala, 13- 14 February 2019. MUIIS was launched in September 2015 with support from the Dutch Ministry of Foreign Affairs through the G4AW programme executed by Netherlands Space Office. Other MUIIS partners are the EARS BV, eLEAF BV, aWhere Inc., AGRA, Mercy Corps, the Uganda Cooperative Alliance Ltd., Uganda National Farmers Federation, AIC and Ensibuuko Technologies.